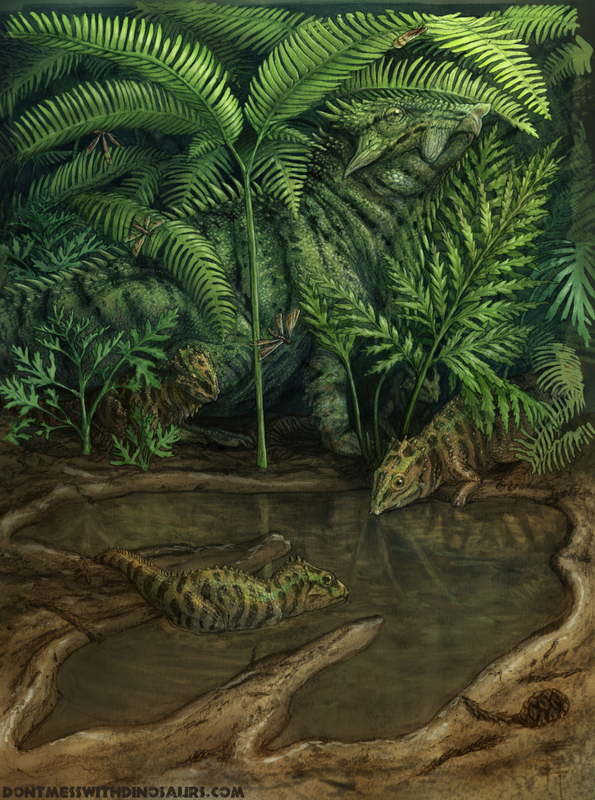 It has been quite a while since I managed to do a palaeoart interview but here is a new one with newly crowned Lazendorf prize winner Brian Engh. 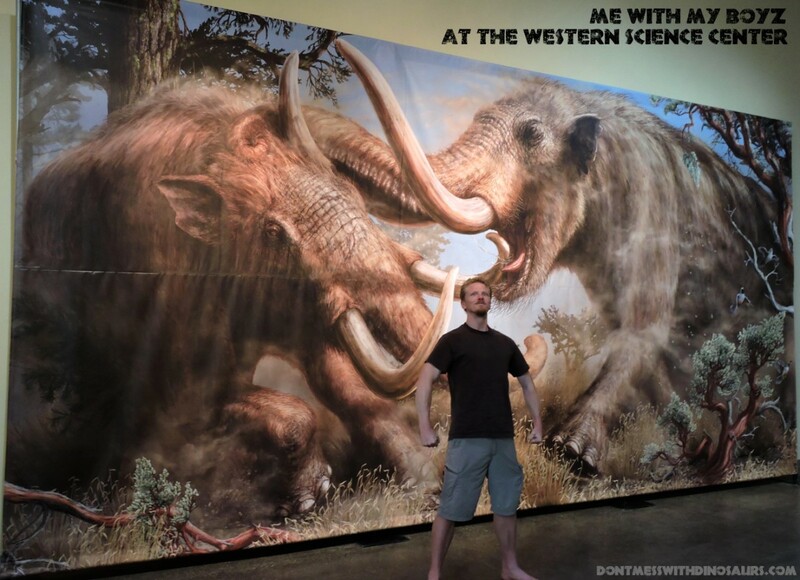 He is a relative newcomer to the palaeoart scene but has risen quickly and blogs extensively about his projects and thoughts on dinosaurs and has a reputation for taking on big projects with some of the more dramatic and unusual (while still biologically plausible) takes on dinosaurs and other ancient beasts. As long as I can remember I have been compelled to depict things, to create characters and settings and stories, to inhabit the realm of imagination and try to manifest it in physical reality. But only recently has my truly personal creative interests coalesced in a way that I can survive off them. 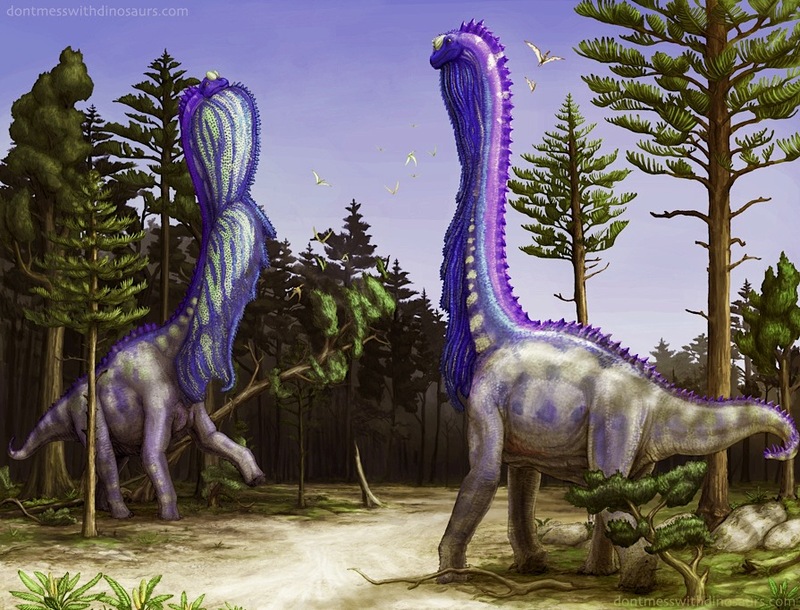 My first commission was in 2010 for Tor Bertin’s paper reviewing the Spinosauridae. There was a big gap in paleoart commissions between that and my first truly professional paleoart commission which was the art depicting Aquilops (shown at the bottom) for the paper and press release describing that specimen in 2014. I have always been interested in unexplored worlds and strange non-human beings, and bringing those to life through art. I cannot remember a time when I did not want to look at a frog or a plant or a chicken or a bug an try to understand it. My fascination with paleontology is just a natural extension of that interest, with the added benefit of the creatures being even more alien, the worlds less explored, and both absolutely requiring art to bring them back to life. Whichever one I’m working on next. By the time I’m done with a piece I am exhausted with it and too close to it. I really can’t pick because there are different ways to evaluate art & artists, and also the viewer’s mood and context is important for enjoying art. In terms of overall mood and style, my favourite paleoartist is Doug Henderson. His work “feels” right to me. It feels like the planet I know, and the prehistoric creatures inhabiting it feel like real animals you would expect to find living in this ancient planet. But Doug isn’t really active any more, and it seems that the difficulty of making any decent money off of paleoart and the other frustrations that come from interacting with the paleontological community seem to have worn him down and made him throw in the towel on paleoart, so I can’t say he’s my favourite artist in terms of his career. John Sibbick’s work is also gorgeous, viscerally compelling, often amazingly believable-looking, and it was hugely influential on me as a kid. I would say his animal reconstructions are my favourite in terms of the character or attitude they exude, and his plant reconstructions are the most texturally satisfying I’ve ever seen. 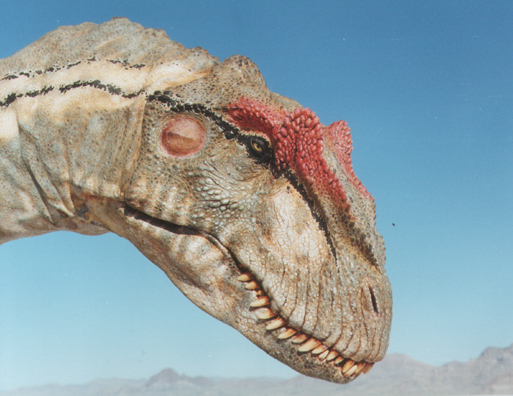 Unfortunately he also has become much less active in paleoart since the 90s, but I really don’t know anything about him or his career beyond that. I also love James Gurney’s work, but more for the fantasy side of what he does. Gurney’s work makes me feel like life will persist and is good. There’s a sentimentality to his work that seems almost restorative for the mind and soul. It is also to his credit that he his still active in both the publishing and scientific worlds, and he shares his knowledge through his youtube page and blog. I admire all of that a lot. Mark Hallett is also at that rare intersection of still being active as a professional artist and having tremendous skill and an amazing body of work. I had the good fortune to meet him at SVP in Salt Lake in 2016. I didn’t realize until I met him that Mark was born with one arm. Despite this handicap he has developed top-level skills in drawing and painting, and has executed some of the most ambitious and beautiful pieces of paleoart anyone has ever pulled off. On top of all that he doesn’t seem to have let the often petty, political and poorly funded world of paleontology jade him too much. He has continued against all odds to grind through making paleoart, and in 2016 he released a huge book on sauropods with my friend and long-time collaborator Matt Wedel. You should probably include a link to where people can buy that here (ed: done!). I don’t have one, but because kids at outreach events ask me this all the time my go to answer is cassowary… because then I get to tell them about how goddamn awesome cassowaries are and that dinosaurs never fully went extinct. Yes of course. All of the ones I have not. In recent years obnoxious know-it-alls mostly on the internet have steered every conversation about paleontological art toward evaluating its “scientific accuracy” despite the fact that these self-made experts are pedeantic dickheads that only remember laundry lists of facts so that they can look smarter than people, rather than actually developing a solid grounding in biology by which to have any real discussions. I think this has caused a significant beating back of the creativity of a lot of artists interested in paleontology, and has contributed significantly to a lot of really beige, conservative paleoart in recent years, despite all the amazing discoveries published every other day it seems. These same paleontological pests are the same people who will look back on a piece by Knight or Burian or the sculptures at the Crystal Palace and mock them for being “tail dragging lizards” and “totally incorrect,” and in doing so completely fail to recognize that this art inspired generations of subsequent artists and scientists to take an interest in natural history. Although antiquated, these past works had that effect because they were aesthetically beautiful, impressive, and gave people a window to a world that they had never seen or thought about prior to encountering that art. At best a piece of paleoart can only reflect some of the current views and knowledge on a given paleontological subject, and as more fossils and discoveries come to light nearly ALL paleoart will eventually be totally inaccurate. We should actually hope for this, because it means science and our understanding of our planet is advancing, and we shouldn’t view older art as “bad” because it is no longer up-to-date. For this reason I am fully willing to take the risk of having my work labeled “too speculative” or “sensationalized”, and it’s part of the motivation for hosting my own paleoart contest, where the main criteria I’ll be judging and rewarding the work on is creativity and originality. The contest ends November 1st, and I am excited by all the wild entries I’ve received thus far. I hope that any artists out there who haven’t entered will do so before the deadline! You can learn more here. As ever all images are copyright to Brian and are on generous loan here. Please speak to him if you want to use them. I had a new paper out a few weeks ago but it was at the very height of my busy start to teaching and so barely even got a tweet out about it and completely failed to do anything on here. That’s a shame as this is a paper that has some serious and major implications for trying to detect sexually selected structures in extinct animals (and indeed looking at some odd structures in living ones too). I’ve written a huge amount about dinosaur dimorphism and sexual selection and with numerous papers covering different aspects of the evolution and behviour of dinosaurs (and pterosaus) when it comes to signals and sexually selected things like crests, spines and horns. The short version is that these are of course hard to look at becuase we can’t directly observe behaviour in extinct animals and coupled with small sample sizes, taxonomic uncertainty of specimens and then issues like extended growth periods and cryptic dimorphism and this is a frustratingly tricky subject to tackle. 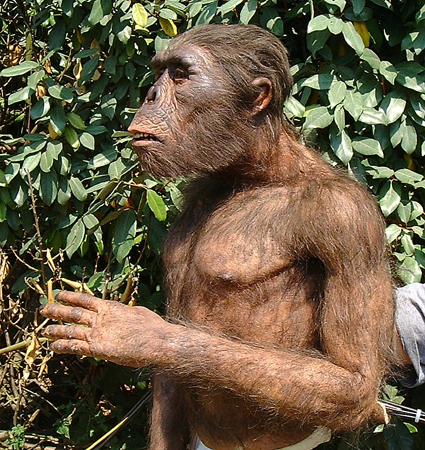 One standard, if imperfect, measure has been to look at the growth trajectory of the anatomical feature in question and to see if it grows more rapidly than the rest of the naimal, especially iof this happens relatively late in ontogeny. In short, animals don’t need sexaul display structures when they are not sexually mature but when they are this is important so things like horns tend to be small for a long time and then grow very quickly. This paper led by Devin O’Brien and featuring a host of sexaul selection theroists and biologists posits that things may be more complex still. Features that directly rate to body size will be postively allometric (this can include things like horns and crests in dinosaurs) but those that are not (like say a moths’ antenna), will not. The former are accurate representations of the animals they are attached to and so act as a proxy for their size and quality, but other traits that can still be variable and under sexual selection are not acting in this way and so wouldn’t follow this pattern. There may even be some allometry in these latter traits (non-reproducing animals will not likely invest in such features until the can mate) but the allometry will be much greater, and the correlation with body size present in visual signals. To help resolve this, we also reccommend in the paper that allometry be tested not jsut again body size but also some other reference trait that is likely to (or been shown to) grow close to isometry. So for example, don’t just measure your dinosaur horn as it related to overall skull size, but also compre it to something like tooth size or humerus lenght. That will help keep things clear when there are other traits around that can grow rapidly or are large but that don’t function as signals. One wonderful example of this we inlcude is a comparisons of the horns on the head of a chameleon with the lenght of the tongue. We used foot size as a reference trait andf show that while both tongues and horns do show allometry, the tongue is little more than isometric but the horns (used in combat and an obvious visual siganl to reflect that) have a much greater allometric slope and show greater variability which is likely to reflect differing quality. We include a whole raft of such measures of various animals from insects up to mammals and covering both signal and non-signal traits. Two extinct animals were included based on dataset I’ve been working on for a while and may be of interest. One was the frills of Protoceratops which I and colleagues did some time ago but now updated with some extra specimens that we did now have before. These produced a simialr result to our analysis which is no big surprise but nice to see the previous results verified. The second one though was to look at the growth of the tail vane in Rhamphorhynchus. The standard interpretation of basal pterosaur tail vanes has been that these functioned in steering in flight and acted as something of rudder. That works out quite well since many of the shapes adopted are surprisingly close to the rudders actually made for various aircraft and putting a small vane at the end of the tail would make mechanical sense to increase the effects. However, it is notable that the vanes for Rhamphorhynchus (the only pterosaur where we have a decent sample size) seem to change quite dramatically in shape as they grow and this is rather at odds with the idea that this is purely mechanical. Similarly, there is some serious variation between various basal pterosaurs in vane shape which suggests that the tail is unlikely o be (purely) mechanical in function and the fact that the pterodactloids gfot rid of theirs implies it is hardly critical for flight. Some people have suggested that these vanes were therefor acting as some form of signal and our analysis bears this out. The height of the vane grown very considerably and shows strong positive allometry as the vane changes from a narrow leaf shape in juveniles to a triangle in adults. The vane could of course be multi-functional and it could well be that it has been co-opted from something initially mechanical to function in signaling. The fundamentals of the methods and theory described here have been around for some time, but the nuance is important to try and distinctuish between traits that are sexually selected and those which are also likely used in some form of display and even combat. It should make for a more reliable way of assessing these kinds of traits and that should be of real benefit to palaeontologists who have an interest in these things. I hope it is not long until more animals are formally assessed for their growth trajectories and what that might mean for understanding their behaviour. Ceratopsian horns and frills – what drove their evolution? Ceratopsians are among the most instantly recognisable dinosaurs thanks to their enormous, elaborately-adorned skulls. The frills and horns of ceratopsians have been the subject or ongoing debate in palaeontological circles since the discovery of Triceratops in the late 19th century. Triceratops is known to everyone, specialists and non-specialists alike, and remains the classic example of ceratopsian skull morphology, with three large forward-pointing horns and a thick, shield-like frill extending back from the rear of the skull. It seemed obvious to early palaeontologists that these features had evolved for protection. The trouble is that Triceratops is almost alone in possessing this precise combination of features. Many of the larger ceratopsians that we know of didn’t have such large horns, and most had large, weight-saving fenestrae in their frills which would offer little protective value in life. 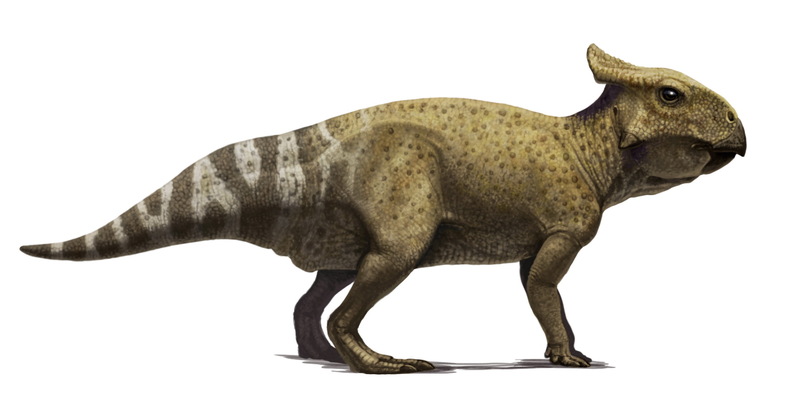 In recent years the large number of known ceratopsian species has increased with a steady stream of new discoveries, each with its own characteristic horn and frill morphologies. These discoveries have posed a whole load of new questions as to what their purpose was. Large, elaborate features with no obvious use – such as the frills and horns seen in ceratopsians – are expensive to grow and maintain, and obvious parallels in living creatures involve sexually selected features. The most extravagant examples of sexually selected features, as realised by Darwin in his book The Descent of Man, involve extreme sexually dimorphism in traits and/or overall size; peacock tails, elephant seals, etc. In contrast, there is no convincing evidence of sexual dimorphism in any ceratopsian taxa. 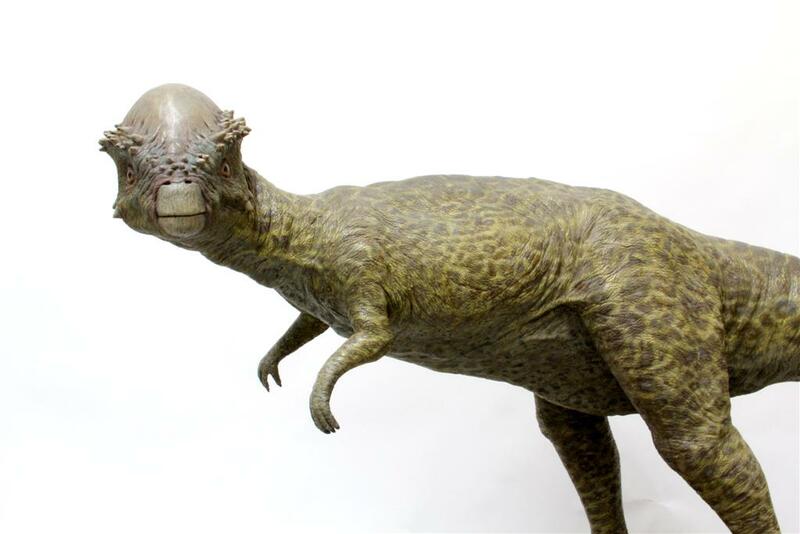 This has led some researchers to reject the hypothesis of sexual selection as an explanation for exaggerated features in ceratopsians and other dinosaurs, and suggest that instead these features have evolved for species recognition. Species recognition is the idea that being able to differentiate members of your own species is vital in herding, protection and mating. Basic examples of ‘species recognition’ are everywhere in nature; zebras don’t have trouble telling lions apart from other zebras! The more specific idea that physical traits evolve as a mechanism to allow differentiation is controversial. There are a few known examples of divergence of traits in closely-related taxa where hybridisation could be detrimental to fitness, a process known as reproductive character displacement. This is distinct from ecological character displacement, where sympatric taxa that fill similar ecological niches diverge in traits associated with resource acquisition. The rock nuthatches Sitta neumayer and S. tephronota exist across central Asia in partially overlapping ranges. Where they are sympatric, the distinctive dark eye stripe, ubiquitous across the rest of the two species’ ranges, fades in intensity in the population of S. neumayer. This has been interpreted as an adaptation to prevent hybridisation between the two species. Crucially, other known examples of reproductive character displacement involve minor modifications to pre-existing, often sexually selected features. Reproductive character displacement is not expected to operate where a taxon exists in isolation, because there is no evolutionary pressure for traits to diverge. This prediction allows us to test the hypothesis of species recognition as an explanation for the presence of distinctive traits in extinct taxa for which we have good geographical information. Ceratopsians fit these criteria well. They were widespread across North America and Asia, speciose, and many species are known from relatively complete remains. We compiled and assessed a list of 350 cladistic character traits for a 46 well-known ceratopsian species and compared how the traits generally considered ornamental, and thus contenders to be species recognition traits, varied between sympatric and non-sympatric species. We also examined at other traits; those that were internal and therefore not visible during the animal’s life, and those that were external but not considered to function as a display trait. We then conducted a pairwise comparison of each possible species pair for three distinct character classes; internal, display, and external non-display. We then compared the results for species pairs known to be sympatric and, therefore, likely to encounter one another in life, with non-sympatric species pairs. For each category we found increasing character divergence with increasing phylogenetic distance as expected, but, crucially, found no difference between the disparity of the display characters of sympatric species and those of non-sympatric species. This suggests that interaction between species has no effect on the evolution of ornaments in ceratopsians, and that species recognition is not a contributing factor to ornament evolution. Of course, it is entirely plausible that ceratopsians were able to identify conspecifics by their ornamentation, but this would have been a byproduct of ornamentation, not a cause. The ruling out of species recognition as a driver of ornament evolution, at least in ceratopsians, shortens the list of possible explanations. Avoiding hybridisation would benefit both parties and so the evolution of distinguishing features should tend towards a zero-cost exercise. In contrast, ceratopsian skulls are the largest of any terrestrial vertebrate and impose certain limitations on their bearers. Computer models of ceratopsians have shown their massive skulls shifted their centre of mass further forwards than other quadrupedal dinosaurs. 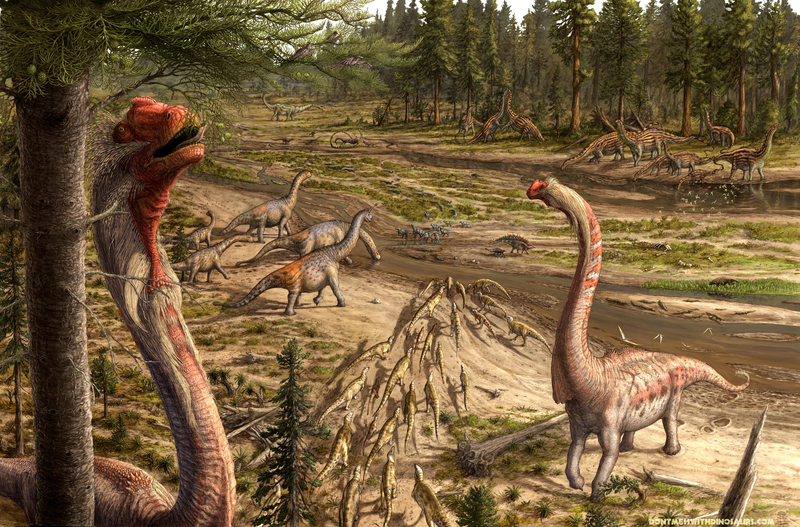 Compared with the hadrosaurs that they shared the ancient river deltas of what is now Canada’s Dinosaur Provincial Park, this made them poor swimmers and liable to drown when crossing bodies of water. This obvious handicap, along with the sheer cost of growing and maintaining such a large component of overall body mass that has no obvious mechanical or ecological function, points to an explanation that favours investment in high-cost structures. An additional result of our analysis was that at the lowest phylogenetic distances, ornamental traits were around ten times more diverse than internal traits and three times more diverse than non-ornamental external characters. This suggests a general trend for rapid evolution of ornamental traits. Rapid evolution and high-cost are both hallmarks of sexually selected features. If the frills and horns of ceratopsians are sexually selected, as has been previously suggested, they are distinct from extant taxa in being both highly exaggerated and sexually monomorphic. This combination suggests strong sexual selection that applies more-or-less equally to both sexes. Some evidence for ceratopsian ornamentation being sexually selected has been demonstrated previously, and this study both adds to this evidence and rejects a competing hypothesis. 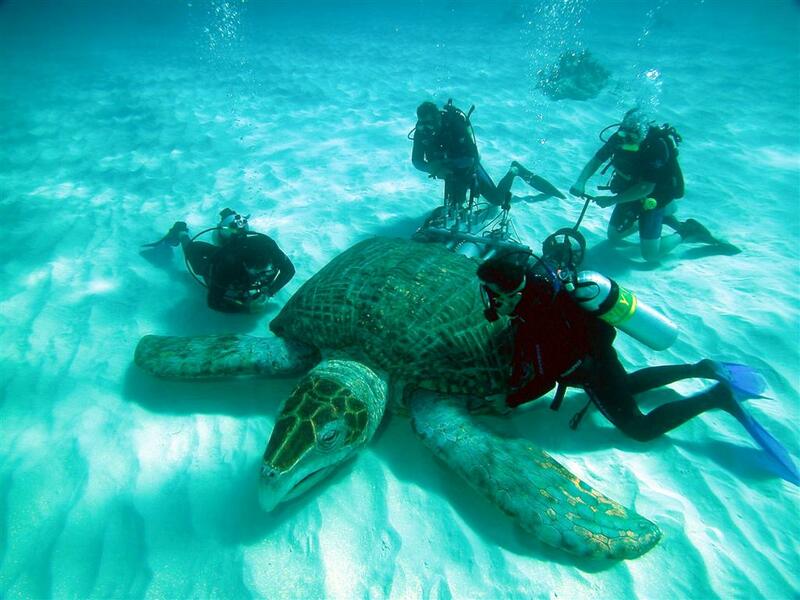 Ultimately, our findings open up further avenues for exploring the life history and ecology of these fascinating and enigmatic creatures. 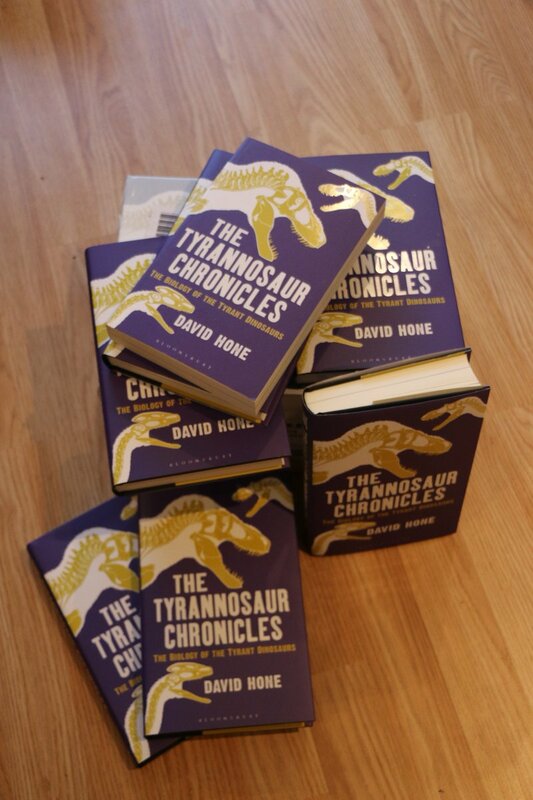 The Tyrannosaur Chronicles is here! Well it’s been coming of course but today sees the publication of my first book. I’ve always wanted to write one and now it’s done and I can (sort of) relax. There’s lots of PR stuff ahead and the official book launch tomorrow, but there’s not much to do now except let it go free and hope that most people enjoy it. I’ve been writing about dinosaurs and palaeo one way or another for nearly 10 years now between various blogs and ventures as well as the odd review paper and book chapter that are for more of a general audience than a typical paper, but this is obviously a much bigger and rather different undertaking. It’s also rather different in that I was writing for something of a different audience (certainly compared to here where I generally assume readers know at least a little anatomy, what a phylogeny is, what the main time periods were etc.) and over a long book you want to introduce quite a few topics and aspects of not just tyrannosaurs, but also their contemporaries and major issues like behaviour, anatomy, local environments, extinction and more. It turned out to be a lot to cover and while trying to keep it interesting for the reader. Hopefully, I’ve managed that but it is nervy letting this out into the wider world with little control over it. That may sound odd given how much I’ve written online, but with a blog (either here, on Pterosaur.net or on the Guardian) you have a fair idea of who your audience is likely to be, and people will soon leave if they don’t like it. Getting someone to pick up and be immediately drawn to, and then stick with, a whole tome is rather different so obviously I am nervous and curious as to how it goes from here. 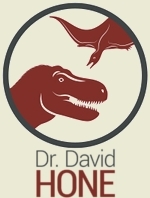 The book is very much in the popular science mould and so while I would hope even some academics and researchers would get something from it and enjoy it, really it is aimed squarely at the general public and those with little or no knowledge of dinosaurs or paleontology and even biology in general. As a result, despite the fact that the book is around 85 000 words long, it really doesn’t delve into the tiny details of but tries to cover a broad spectrum of tyrannosaur origins, evolution and their biology. Given my interests there’s quite a lot on ecology and behaviour and there’s a few bits of informed speculation or suggestions that I hope are novel and interesting, but also clearly flagged as such. It was a huge effort to write all of this while keeping up with a full time academic job and try and keep my other blogs ticking over, and it was also important to try and update things. The last few years have seen a near endless stream of new tyrannosaurs being named and some parts of the book I changed a half dozen times to reflect the addition of new species, and with the book going to print in February, it’s inevitably already out of date thanks to the most recent addition to the ranks of this clade, despite my efforts. Still, I have tried to make this a modern take on tyrannosaurs and I hope I have managed to overcome a few of the more persistent anachronisms and misconceptions about these animals. Anyway, enough of the (brilliant) text and its (brilliant) author, and time to talk about some other aspects of the book and to give a minimal amount of credit to other people. The book is illustrated by Scott Hartman and there’s around a dozen figures of his scattered through the book, with lots of skeletals (especially of tyrannosaurs, but also various other dinosaurs too) and other little bits, a number of which were done especially for the book, but will be popping up on his website if they haven’t already. I’m obviously especially grateful to Scott for finding the time to do these and putting so much time and effort into them, the book benefits enormously from it. 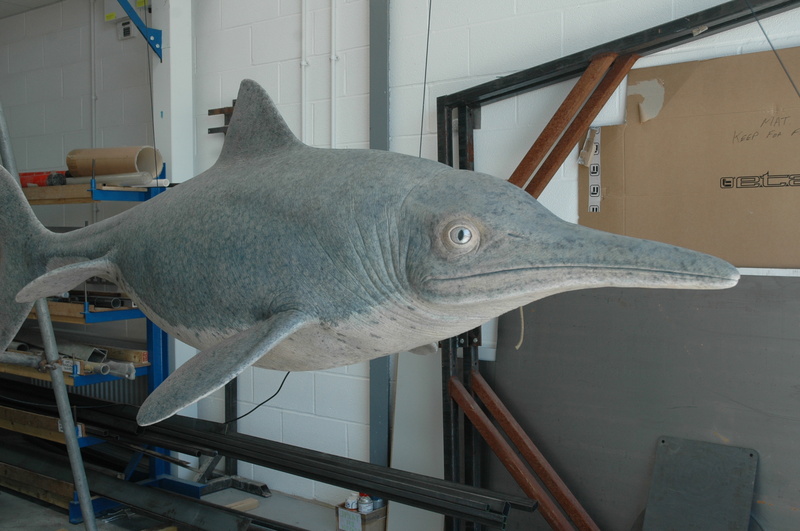 There is also a colour section in the middle with numerous photos of various specimens and some reconstructions. Plenty of these have been in print in various places before but there are some novel shots and views of various things and I’ve been blessed with the generous assistance of numerous colleagues and friends who have sent in pictures and allowed me to use them. While I’m on the subject therefore I must thank Peter Falkingham, Jordan Mallon, Larry Witmer, Xu Xing, Lu Junchang and Phil Currie for providing various images and also the Royal Tyrrell, LACM, IVPP, Hayashibara, Mongolia Palaeontological, Royal Sasketchewan, Carnegie and New Mexico Museums, and also Don Brinkman, Mark Loewen and Matt Lamanna for helping me negotiate to get a couple of the images. Finally I must also thank Darren Tanke and Chisaka Sakata for the photos of me that are on the covers of the paper- and hardbacks respectively. Finally with regard to the text I had a series of editors and assistants at Bloomsbury though most especially I want to thank Jim Martin for commissioning the damned thing in the first place and also in particular for supporting my campaign for the colour scheme of the cover. Several friends of mine including Marc Vincent (yes, that one) read through an early draft for me and provided useful feedback and special mention goes to Tom Holtz for reading through it looking for errors (and mercifully he found only one, so I’m happy to blame him for any others that slipped through). A whole host of other friends, collaborators, coauthors and colleagues are thanked in the acknowledgements for sharing their knowledge of tyrannosaurs with me over the years and I hope this book helps do justice to these amazing animals. Well, the book is out now (actually I’ve had reports of it being on sale since Monday) and while I’ve always wanted to say it’s available in all good bookshops actually I have no idea. It is available online (including direct from the publishers Bloomsbury) and it’s in at least a few physical places. I know it’s available in hardback (paperback coming next year) and e-book versions and there’s an audio version coming via Audible, and hopefully a few translations too. The US have to wait till early June, but not long for you to wait and in the meantime you can enjoy me talking about the book here. Hopefully many people will find it one way or another (such as in charity shops for £2 in a few weeks) but more importantly I do hope people enjoy it. Happy reading. 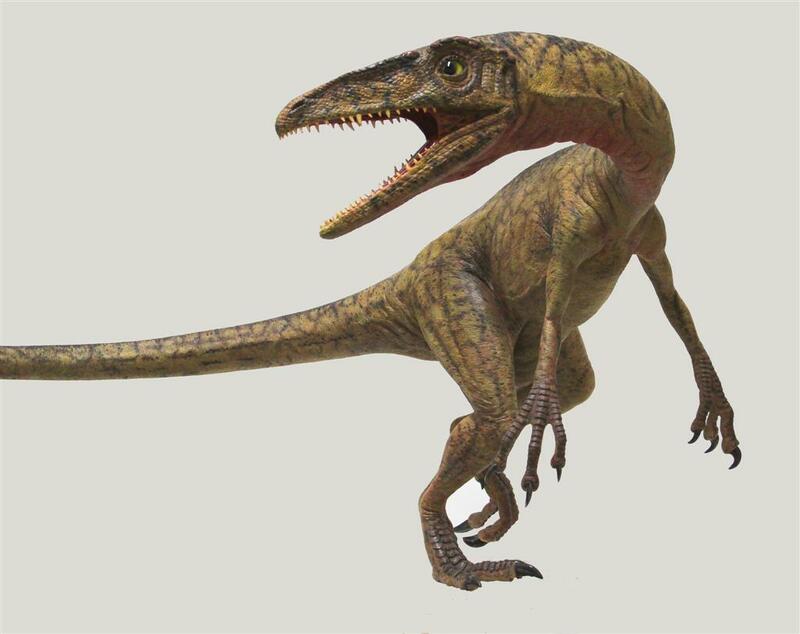 In recent years, it has become clear that at least some large theropods (and notably tyrannosaurs) engaged in some form of intraspecific conflict that can be identified by the numerous injuries inflicted on various skulls. Unlike predation attempts which would expect to strike to areas like the hindlimbs and tail, these are very localised to the face and imply animals stood head-to-head or side-by-side while doing this. Furthermore, at least a couple of records suggest cannibalism of conspecifics and this too has been seen in tyrannosaurs. 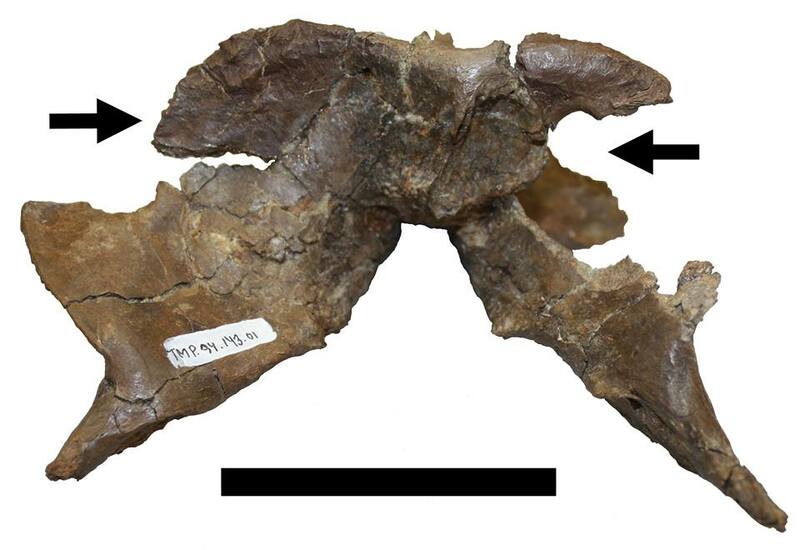 Wading in myself, I have new paper out with Darren Tanke which describes a series of injuries to what is a fairly battered Daspeltosaurus skull that gives support to both of these areas, since it has both pre- and post-mortem bites on it from other tyrannosaurs. First off, I must thank a number of people for getting this research to happen at all. The project started while I was unemployed and obviously short of research funding. My trip to Canada to examine the material was supported by a crowd-sourced campaign run through Experiment.com. Numerous people at Experiment and huge numbers of friends and colleagues contributed (and I’m sure, plenty of regular Musings readers) and they need my thanks. First among equals was the palaeoart community with Julius Csotonyi, Luis Rey and especially Brett Booth donating artwork or sales to support the work, but many people are gratefully acknowledged. 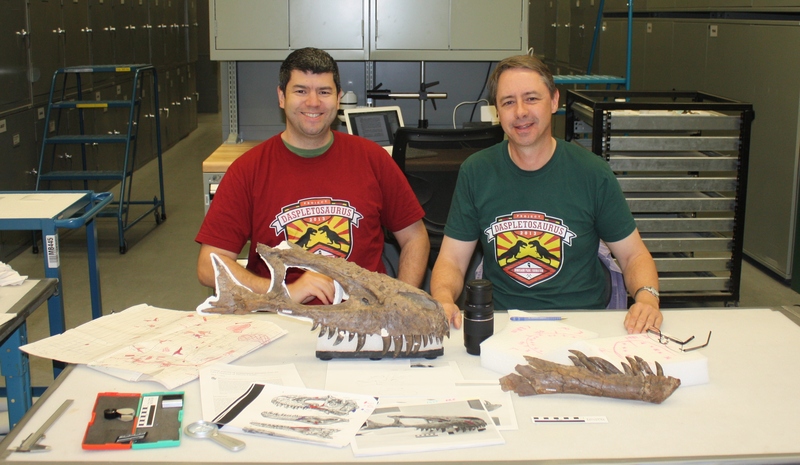 Don Henderson put me up while I was in Canada, and Darren Tanke obviously invited me to write up the specimen. While naturally a lot of work has gone into this paper, the essentials of the marks and interpretations were things Darren himself had identified years ago so much credit needs to go his way there too. Right, onto the paper. It’s freely available through PeerJ and with 17 figures, so there should be more than enough info there for those who want to delve into the details, and thus I’ll try to keep things relatively brief here. The specimen is of something close to a sub-adult animal and there were plenty of the bones in the quarry (importantly these are in superb condition and there’s basically no evidence of transport or wear). There are numerous injuries across the skull (though absent elsewhere) and these consist primarily of healed injuries on the cranium. Not all of these can be directly attributed to bites, and some could have come from a number of sources. However, a few healed marks can be interpreted as bites. 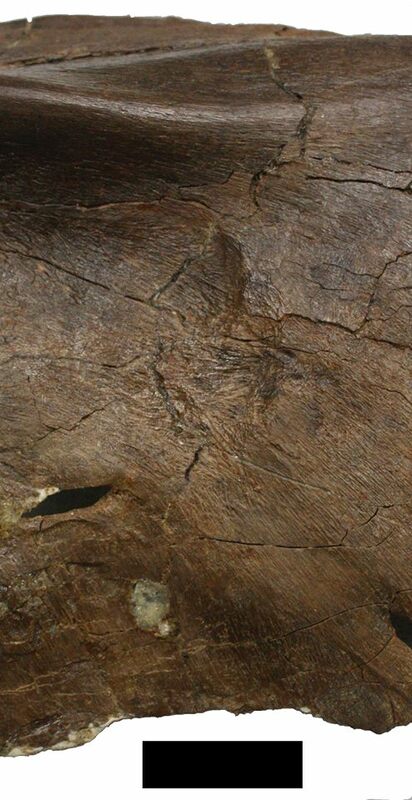 There are some circular marks and punctures on various locations (including on the snout) and damage to bones that appear to represent some heavy impacts (deviated bones, pieces that have broken off and then fused back to the bone slightly out of position) and the like. Quite incredibly, both sides of the occipital region show some serious damage. On the left a piece appears to have been entirely removed (there’s healing round the remaining edge) and on the right, there’s a healed but circular puncture through the bone. In short, at least one and probably two separate bites came in to the back of the skull and snapped through the bones, though the animal survived and the injuries healed. This animal, despite not even having reached adulthood, clearly got into at least one big dustup and I would imagine, probably several, to have got so many hits to the head. Although there are a number of theropods showing injuries to the head that are interpreted as coming from other conspecifics, this is more extensive and serious than I’ve seen before. As to assigning it to a conspecific, this is tricky as there are other large tyrannosaurs in the formation (Gorgosaurus) and though these animals might well have come into conflict with one another, one can expect that conspecifics would likely come into contact more often (competition for similar niches, living in more similar habitats or direct interactions from being in groups perhaps). Thus it’s reasonable to infer this was a more likely source of such injuries. Even so, the post-mortem damage is perhaps more interesting still. There’s one series of score marks along the inside and rear of the right dentary that well match similar bite marks from large theropods. A piece of bone has also broken off between two alveoli and been jammed down in between them and the score marks are coincident with some damage to other parts of the posterior mandible, so it looks a lot like there was a big bite here that took apart the back of the jaw. Given the position of this and the lack of healing, it’s reasonable to infer this as being post-mortem, but things get more interesting when you look at the taphonomy. When discovered, the dentary was more anterior than would be expected if the specimen had decayed in situ (the skull was lying with the palate uppermost). However, a number of dentary teeth (including those that must have come from the missing right dentary) were lying in the palate below where they should have been if the dentaries were in a natural position. 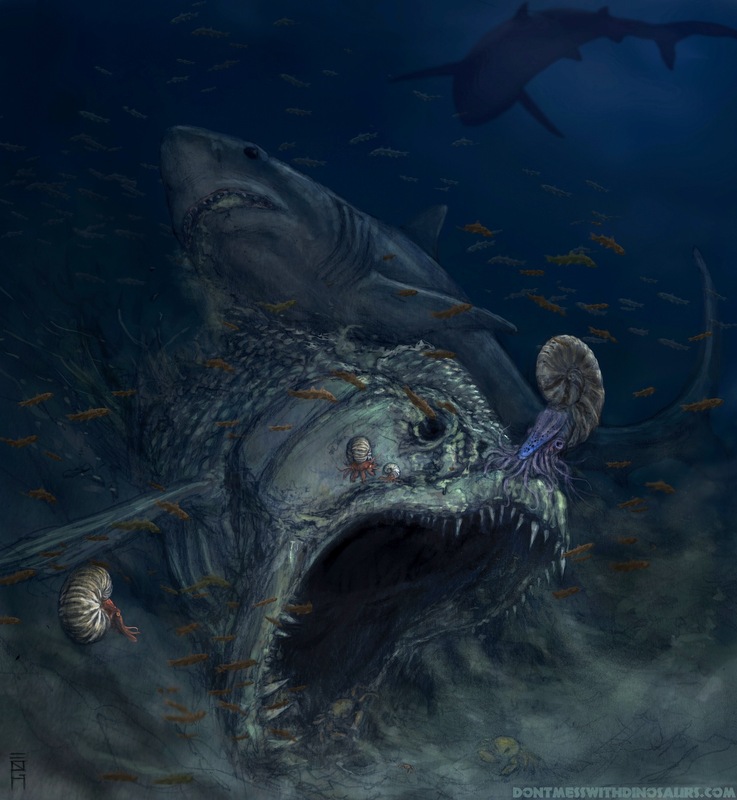 Given the lack of evidence for fluvial action generally, this implies that the jaws were originally in place, decayed sufficiently to shed their teeth, and then the dentaries were moved. One has vanished and the other is in a more anterior position than if the specimen had simply decayed in situ (and the teeth have been dragged along somehow). 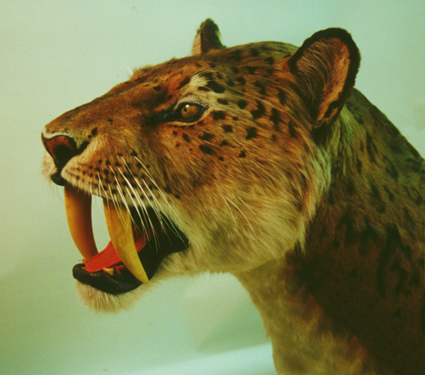 It’s hard to imagine the tooth ligaments coming apart within hours of death, and the lack of bites to other parts of the specimen that would have been a more obvious target for feeding suggest this was probably scavenging. This may or may not have been cannibalistic as it is not possible to tell apart Gorgosaurus from Daspletosaurus based on the bite marks alone. Still, it is very much a record of a scavenging interaction between two large tyrannosaurs and that is a nice addition to the available information on interactions between large theropods. Getting an idea of how these kinds of things worked in past environments really is a case of building up data from the rare occasions when such interactions are preserved, so while interesting in its own right, this really does help produce a more rounded picture of interactions between large carnivores both before and after their deaths. Hone, D.W.E., & Tanke, D.H. 2015. Pre- and postmortem tyrannosaurid bite marks on the remains of Daspletosaurus (Tyrannosaurinae: Theropoda) from Dinosaur Provincial Park, Alberta, Canada. PeerJ, 3 e885. Finally, while I’m talking about crowdfunding stuff, do check out David Orr’s appeal for his kids book on palaeontology. David designed the snazzy logo that I used for this project as modeled by myself and Darren above, so you can see how good his stuff is. Oh yes, and here’s an interview with myself and Darren Tanke on the new paper. Time for another end-of year summary and roundup, though this year I’ve modified the format a little. With my changing habits and responsibilities, I don’t keep up with and get involved to the same degree with some areas of outreach and research that I used to, so I thought to keep things running I should adjust the setup a bit to better reflect what I’m up to and interested in. Other than talking about my papers and research generally, I don’t tend to talk much on here about my career, however it’s been both an odd and important year for me. I had a brief secondment back in Bristol for the five months in the middle of the year and then had a big event in being offered a permanent position at Queen Mary. I am well aware of how lucky I am t have had this opportunity when so many other very talented and able colleagues have, and continue to, struggle for employment and there is still a very long way to go (I’ve still got to pass my academic probation for starters) but 10 years after I finished my PhD and after chasing postdocs and short-term contracts round the world, as far as I’m concerned it’s about time. With all the to-ing and fro-ing between cities and jobs and the new dinosaur course, it’s been a hectic time but my research has rather fallen behind of late. Happily however, several long-term projects are coming to fruition now and so I do hope the next 18 months will see a good increase in submissions and publications. One of the things I’ve been keeping relatively quiet is that I’m writing a book on tyrannosaurs which is provisionally scheduled to come out in the summer of 2015. It will very much be a popular science book and not too technical, though there should be some nice photos and Scott Hartman will be providing skeletals for it, so the illustrations at least should be accurate. Right enough of the generalist stuff, let’s get onto some specifics. Although Kulindadromeus is an obvious and very cool candidate here and does bring some new data and ideas to the feather-holomology party, with my pterosaur hat on, the two (yes two!) new bonebeds full of pterosaur material is really big news. Apart from Pteranodon and Rhamphorhynchus (both tending to be too flat) we don’t have major datasets for pterosaurs, so lots of basic things like growth series, dimorphism and intraspecific variation are really hard to look at with much confidence. These discoveries should really chance this and with eggs and young juveniles clearly present at one site too, there’s plenty more scope on both basic biology and also ecology. It is rather inevitable, but yeah, I’m delighted to see the new Deinocheirus too and unlike some other sail-based theropods, the two specimens here actually have lots of elements and articulated bits so there’s no arguing about the detailed anatomy. It’s big, it’s cool, it’s really, really odd. No one seemed to like Dreadnaughtus much and while it doesn’t exactly roll off the tongue, the etymology behind it is really neat. Still, I do like the short and snappy and so I’ll plump for Anzu which just sounds neat to me. Rhinorex should be a cool name indeed it IS a cool name, but really, that’s not much of a horn or nasal expansion for this to really be the animal with the king nose. It just doesn’t fit right for me. This is probably one I’ll drop in future years, as pretty much every year I plump for yet another Placenameraptor or Placenamevenator. Yeah, not every name needs to be super original and clever and yes, having consistent names for various clades does help you remember them, but there are still too many Placenameasaurus things out there. 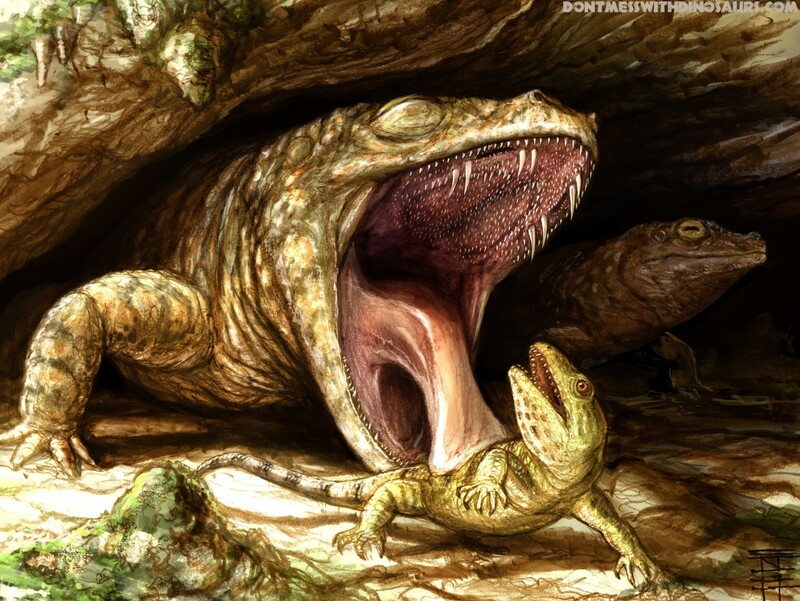 The standards of palaeoart seem to go up and up with new animals, new techniques and new information getting around more easily online with people sharing ideas and data making a huge difference. It’s also way easier to find new artists and images and so it’s great to see so much appearing online and seeing things develop. Despite the wealth of cool stuff though, I simply have to go for Julius Csotonyi’s amazing sauropods with a fish-eye view. Not only did it win a Lazendorf this year, but it really does combine some nice behaviour, multiple species in a realisitic ecosystem, and superb accuracy but it adds a level of artistic brilliance with an approach I don’t think has ever been taken before and that I know has really caught the imagination of plenty of people. Great job. A new entry but a worthwhile one. These days I do tend to read more of fewer sites, but I occasionally stumble across ones I’d not seen before, or have only ever seen occasionally, and then start reading more heavily and they become a regular part of my browsing. Heavily featuring this year is Why Evolution is True. There’s lots on there that I’m not a huge fan of and tend to skip over, but much I can devour and so do drop in every few days and see what’s been posted. Aside from the obvious delight of having of a job and finally getting a decent website up, there’s been a few highlights this year. 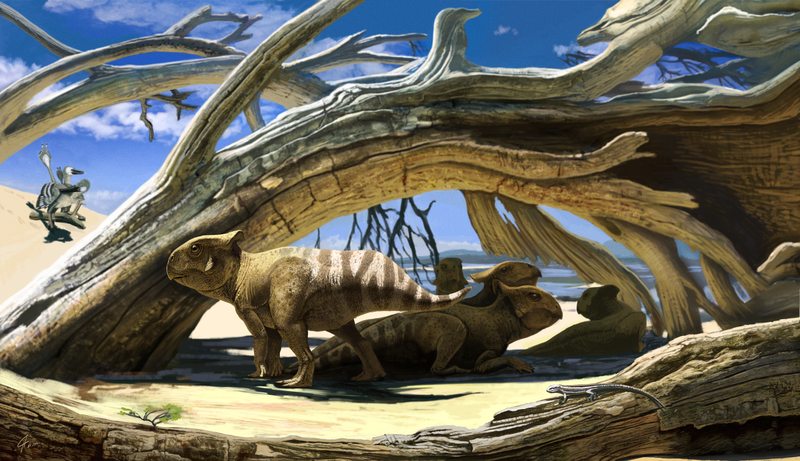 First of all, my Protoceratops paper came out which included not only some magnificent specimens but some extended discussions on dinosaur social behaviour. As with my previous big papers on behaviour (bone use in feeding and the mutual sexual selection papers) this went through some torture over various submissions and extended periods of writing so I’m pleased to finally have it out. The best thing however was taking a group of undergrads out to Dinosaur Provincial Park in Alberta to go prospecting for dinosaurs. A number of friends and colleagues turned out to join in the fun and it was incredibly rewarding and the feedback from the students was superb, and I’ll be doing it all again this year too, and hopefully for many years to come. I’d not seen Jonah Choiniere since my later days in China, and then combined with his move to South Africa didn’t think I’d run into him again anytime soon, but happily he was going through London on the way to SVP so we were able to catch up a bit which was very nice. 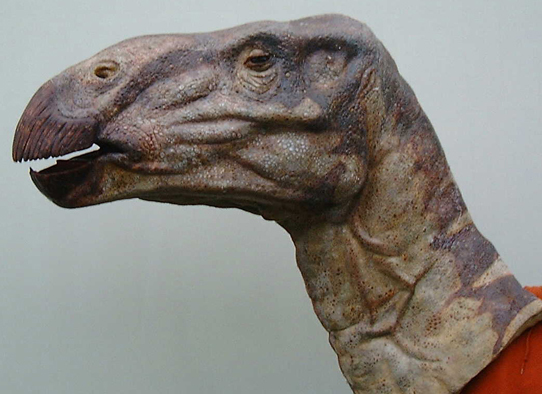 Well the Hadrosaurs volume is out a full year after all the manuscripts were finalised and proofed, though my copy hasn’t even arrived yet, so I won’t get to see it till 2015 now. I know some of these volumes take forever, but a full year delay from the publishers end after the great work but the editorial team to have it all done to a good deadline was not welcome. Ending as ever on a note of improbability, here’s something I would love to appear next year but probably won’t. At various places online people have discussed the fact that plenty of animals that we would consider dedicated herbivores occasionally consume small animals and it’s fair to assume dinosaurs were no different. So my prediction is for something like a hadrosaur or sauropod to turn up with stomach contents of some nicely chewed bones.